Book Club It --new web tool for creating and participating in online book discussion groups. 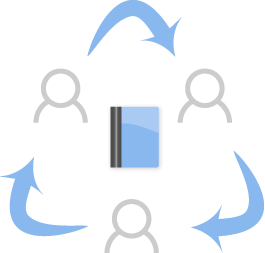 Create one or more meetings with meeting locations to discuss your current book. Best of all, it's free and easy to set up. It seems like you must join the public book clubs in order to make comments on the books. Shock of the News: Media Coverage and the Making of 9/11by Brian Monahan. This is a fully-functional site with access to all of ebrary’s research tools at absolutely no cost. Thanks to Sue for noting this. 'TL Virtual Cafe - Back to School Special' on TLNing! From the Ning: "An essential webinar for those first weeks back at school"; hope to see you there! Guest speakers: Gwyneth Jones and Librarian Tiff will host a casual discussion to generate ideas on how to build school allies, support new teachers & become indispensable to admin & staff at the beginning of every school year. 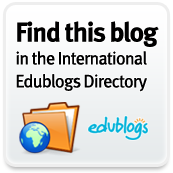 For Teacher Librarians, classroom teachers, tech teachers, adminisrators, & well...everyone! See more details and RSVP on TLNing: if you haven't yet joined Teacher Librarian Ning, this is a worthwhile Ning! TL Virtual Cafe is a Ning (with forums, blogs, videos, groups, etc.) created by librarian Joyce Valenza which is a community for teacher-librarians and other educators with 6000+ members! The September 11, 2001, Documentary Project captures the reactions, eyewitness accounts, and diverse opinions of Americans and others in the months that following the attacks on the World Trade Center, the Pentagon, and United Airlines Flight 93. ~200 audio and video interviews, 45 graphic items, and 21 written narratives. Question: Should the Government go beyond the normal limits of its authority during wartime? The New Trier Library has collected an awesome set of web resources for September 11 and Terrorism. Adams, Neal, and Marvel C. Group. Heroes : the world's greatest super hero creators honor the world's greatest heroes, 9.11.2001. New York: Marvel Comics, 2001. Print. Al Qaeda after 9/11. Distributed by Discovery Education, 2006. Film. Atkins, Stephen E. The 9/11 encyclopedia. Westport, Conn.: Praeger Security International, 2008. Print. Bagley, Mark, and Marvel C. Group. A moment of silence : saluting the heroes of September 11th. New York: Marvel Comics, 2001. Print. Bernstein, Richard. Out of the blue : the story of September 11, 2001, from Jihad to Ground Zero. New York: Times Books, 2002. Print. Bishop, Jennifer A. Through the eyes of freedom : a teen perspective on September 11, 2001. Oklahoma City, OK: New Horizons Pub., 2001. Print. Brown, Cynthia. Lost liberties : Ashcroft and the assault on personal freedom. New York: New Press, 2003. Print. by the reporters, writers and editors of. Inside 9-11 : what really happened. New York: St. Martin's Press, 2002. Print. Carlisle, Rodney P. September 11, 2001. New York: Collins, 2007. Print. Comics, Alternative. 9-11 emergency relief : [a comic book to benefit the American Red Cross. Gainsville, FL: Alternative Comics, 2002. Print. Comics, Dark H. 9-11 : artists respond. Milwaukie, Or. : Dark Horse Comics, 2002. Print. The day the towers fell. A & E Television Networks, 2002. Film. DC Comics, Inc. 9-11 : the world's finest comic book writers and artists tell stories to remember. New York, NY: DC Comics, 2002. Print. Dixon, Wheeler W. Film and television after 9/11. Carbondale: Southern Illinois University Press, 2004. Print. Fahrenheit 9/11. Columbia TriStar Home Entertainment, 2004. Film. Faludi, Susan. The terror dream : fear and fantasy in post-9/11 America. New York: Metropolitan Books, 2007. Print. Farber, David R. What they think of us : international perceptions of the United States since 9/11. Princeton: Princeton University Press, 2007. Print. Firm, Life B. The American spirit : meeting the challenge of September 11. New York: Life Books, 2002. Print. Frank, Mitch. Understanding September 11th : answering questions about the attacks on America. New York: Viking, 2002. Print. Gilbert, Allison. Covering catastrophe : broadcast journalists report September 11. Chicago, IL: Bonus Books, 2002. Print. Halberstam, David. Firehouse. New York: Hyperion, 2002. Print. Halberstam, David, and inc Magnum Photos. New York September 11. New York: PowerHouse Books, 2001. Print. Hendra, Tony, and Frank McCourt. Brotherhood. New York: American Express Publishing, 2001. Print. Hutchinson, Robert, and Jake Rajs. Sometime lofty towers : a photographic memorial of the World Trade Center. San Francisco: Browntrout Publishers, 2001. Print. Jacobson, Sid, Ernie Colón, and Thomas H. Kean. The 9/11 report : a graphic adaptation. New York: Hill and Wang, 2006. Print. John Mroz December 04, 2001. 2001. Film. Lamb, Chris. Drawn to extremes : the use and abuse of editorial cartoons. New York: Columbia University Press, 2004. Print. Looking for answers. Distributed by PBS Home Video, 2001. Film. ltd, Reuters. September 11 : a testimony. New York: Pearson Education, 2002. Print. National Commission on Terrorist Attacks. The 9/11 Commission report : final report of the National Commission on Terrorist Attacks upon the United States. New York: Norton, 2004. Print. One nation : America remembers September 11, 2001. Boston: Little, Brown and Co., 2001. Print. Photoinsider. Unique Photo, Inc. Print. Poynter Institute for Media Studies. 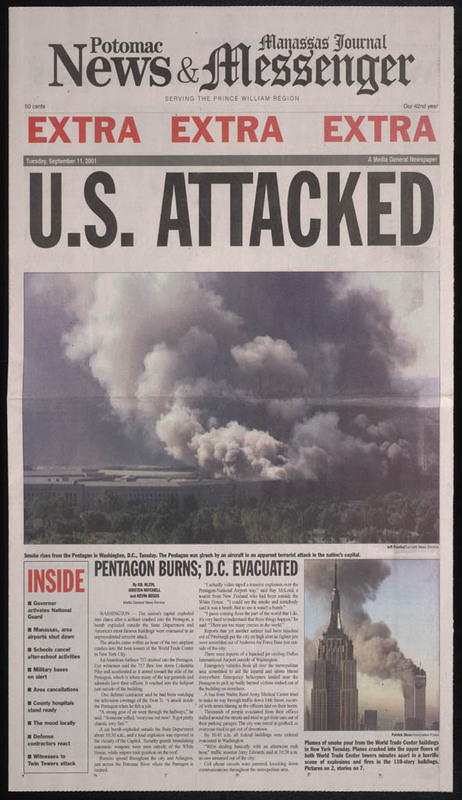 September 11, 2001 : a collection of newspaper front pages. Kansas City, Mo. : Andrews McMeel, 2001. Print. Raines, foreword b.H., and introduction b.J. Scott. Portraits 9/11/01 : the collected "Portraits of grief" from The New York times. New York: Times Books/Henry Holt and Company, 2002. Print. Rich, Frank. The greatest story ever sold : the decline and fall of truth from 9/11 to Katrina. New York: Penguin Press, 2006. Print. The road to 9/11. Distributed by PBS Home Video, 2006. Film. Roleff, Tamara L. America under attack : primary sources. San Diego, Calif.: Lucent Books, 2002. Print. Salaita, Steven G. Anti-Arab racism in the USA : where it comes from and what it means for politics today. London: Pluto Press, 2006. Print. September 11, 2001, a turning point in history the first 30 days. Holt, Rinehart and Winston, 2001. Film. Spiegelman, Art. In the shadow of no towers. New York: Pantheon Books, 2004. Print. Stewart, Gail. America under attack : September 11, 2001. San Diego, Calif.: Lucent Books, 2002. Print. Thoms, Annie, Taresh Batra, and N.Y. Stuyvesant High School New York. With their eyes : September 11th, the view from a high school at ground zero. New York: HarperTempest, 2002. Print. World Trade Center anatomy of the collapse. TLC, 2001. Film. The World Trade Center rise and fall of an American icon. History Channel, 2002. Film. Wright, Lawrence. The looming tower : Al-Qaeda and the road to 9/11. New York: Vintage Books, 2007. Print. Read the recent School Library Journal article which discusses how Amazon is changing its rules for school libraries. This may really impact how we go forward with our Kindle program. which enables downloads from Google Books! The Simple Touch Reader is a major upgrade from the original Nook, and also significantly improves upon Amazon’s Kindle 3 device in five respects: 1) It has a touchscreen, and is buttonless (save for the on/off button on the backside).2) It has double the battery life. 3) It’s 1.5 inches shorter (5 x 6.5 inches). 4) It’s one ounce lighter (7.5 ounces). 5) There’s less of a page-turning delay.Both devices have built-in Wi-Fi, 6-inch display screens and are priced at $139. Barnes &Noble's New Simple Touch Reader from School Library Journal on Vimeo. As usual, change is fast-paced in the library world. With the ebook revolution, don't expect the impact to be anything less than the Gutenberg printing press. Scroll to bottom of a Wikipedia article to get Wikipedia ratings: Visitors rate an entry on a scale of 1 to 5 on trustworthiness, objectivity, completeness and quality of writing. Article raters have the option of self-identifying as a subject matter expert. Share with your students! Two new features on Twitter: click on the new tab with your @username, and you’ll be able to see which of your Tweets are Favorites, plus the latest Retweets (of your Tweets), Tweets directed to you, and your new Followers. AND Activity tab. It provides a rich new source of discovery by highlighting the latest Favorites, Retweets, and Follows from the people you follow on Twitter – all in one place. This doesn't mean that I am giving up my Tweetdeck! Twitter for librarians: a resource guide from Phil Bradley: this includes 43 Twitter search engines you may already know, plus dozens of other resources to get the most out of Twitter. One that sounds fascinating is: Packrati.us = Twitter + Delicious This site provides a simple bookmarking service. They follow your twitter feed, and whenever a status you tweet or re-tweet contains URLs, they are automatically added to your delicious.com bookmarks. YALSA's Readers' Choice Booklist-- anyone may nominate a favorite title by filling out a not-so-brief nomination form. Shoot and capture media with your mobile phone or any camera device, and sync it to your private media library in the cloud. Shape and edit your media clips with professional-looking titles, transitions, effects, animation, music and narration. Share and collaborate in an online workspace and publish your movies to social networks and video scrapbooks. This one looks like a winner for classroom projects. A sharing/collaboration features allows you to invite others in to edit the film. It's all stored in the cloud and even allows for HD - movies can be exported with a resolution up to 1080 pixels. No installation or software is required and all files are safely stored. I signed up for the waiting list; it's in Beta right now and will hopefully be getting an invitation to try it soon. Webdoc has a new way to build a site on the web. This fits into blogging or Tumblr in a really neat way because it brings even richer sites than those allow plus they bring in the social web too. The Library of Congress is constantly adding resources such as wonderful newly digitized primary source materials. One recent discovery is the Herblock! 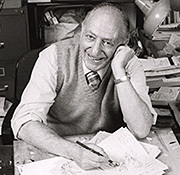 cartoon collection celebrating Pulitzer Prize-winning cartoonist Herb Block (1909–2001) with 82 digitized original cartoons spanning his seventy-two-year career (1929–2001). Another amazing resource librarians should pay attention to and add to web reference online resources are the Reference Guides from Library of Congress. see also: Subject guides produced by the Science Reference Section of the Library of Congress. The Main Reading Room of the Library of Congress has eight alcoves. This ninth "virtual alcove" is a collection of websites selected and annotated by Humanities and Social Sciences Division subject specialists. Alcove 9: An Annotated List of Reference Websites--All of these websites have components that are free and available to the public; some might require user registration, or may have links to fee-based services.